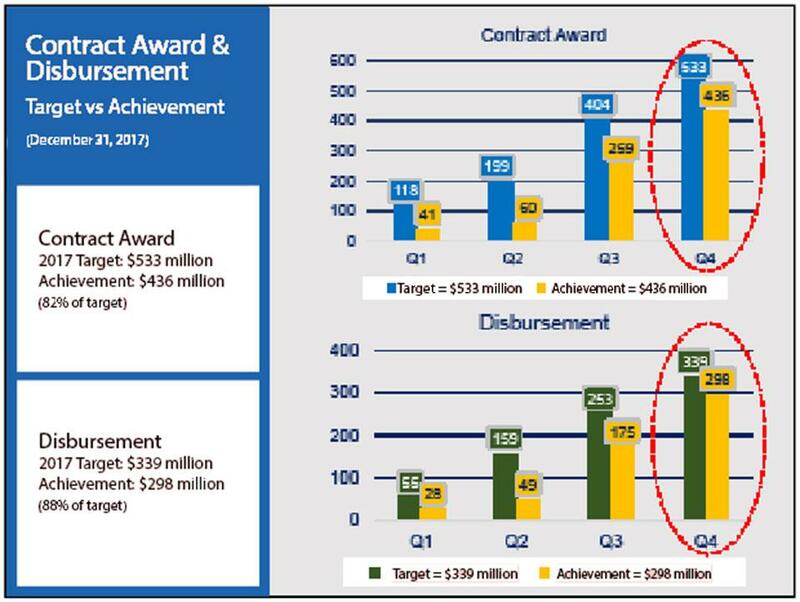 KATHMANDU, Feb 24: The government has made a record high achievement in meeting target of both contract award and disbursement for the Asian Development Bank (ADB)-supported projects in 2017. According to the ADB, the government has achieved 82 percent, or $436, out of total target amount of $533 million last year. Similarly, the disbursement progress stood at 88 percent, or $298 million, out of the total target of Rs 339 million in the same year, showing signs that the implementation of projects on the ground have also improved. Senior ADB and government officials seemed to be upbeat with the progress. They said that the progress in contract award and disbursement was due to readiness of new projects and closer monitoring of implementation. “These figures demonstrate a significant upward trend that can be attributed to advance procurement actions as part of the readiness filter approved by the Ministry of Finance, utilization of project preparation facilities, and procurement reform within ADB and Nepal’s Public Procurement Monitoring Office,” said Diwesh Sharan, deputy director general at the South Asia Department of ADB, addressing the opening ceremony of Country Portfolio Review Meeting of ADB supported projects organized on Friday. 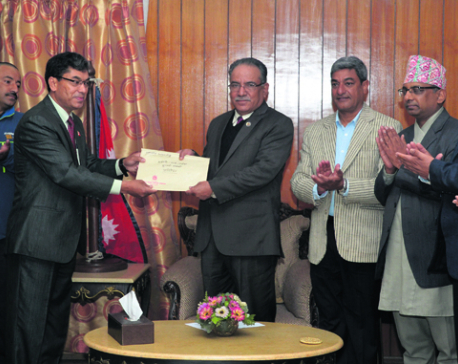 Though there was some progress in financial performance, particularly the contract award and disbursement, the officials see challenges in the physical progress on some of the critical projects like Melamchi Water Supply Project and Gautam Buddha International Airport project. “The challenge is to deliver water to Kathmandu in 2018 while advancing Kathmandu Upatyaka Khanepani Ltd reforms and addressing environmental concerns,” said Mukhtor Khamudkhanov, country director at the ADB Nepal Resident Mission, while highlighting some ongoing challenges faced in the implementation of ADB-financed projects. According to the ADB, the approved lending for Nepal has increased from an annual average of around $300 million per year during 2014-2016 to $421 million in 2017. “The resource envelope in 2019 and beyond will depend on country performance assessment and portfolio performance,” added Khamudkhanov. Also speaking at the periodic review meeting that brings all stakeholders together to review the performance of the projects, progress made and remaining gaps and discuss on project-specific actions to meet the target, Shankar Prasad Adhikari, secretary at the Ministry of Finance, said that the country has been encountering similar problems of project implementation for a long time. “We have noted that implementation challenges are associated with the ongoing government restructuring process, inadequate budget release in the third trimester and other systemic issues such as deputation of competent project staff, capacity building and weak contract management,” he added. ADB’s active portfolio in Nepal stands at almost $2.4 billion, with 29 loans amounting to $2.1 billion and 18 investment grants amounting to $292.5 million as of December 2017.